Heather J. Chesnut is a felony trial attorney for the Salt Lake Legal Defender Association. She graduated from the S.J. Quinney College of Law at the University of Utah in 1994. Following graduation, she clerked for Justice Richard C. Howe at the Utah Supreme Court and practiced corporate law until 2000, when she joined the Appellate Division at the Salt Lake Legal Defender Association. After three years in the Appellate Division, she began training in trial work and joined the Felony Trial Division in 2005. 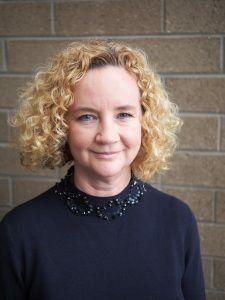 She has taken nearly 50 criminal cases to jury trial and is currently the Salt Lake Legal Defender Association representative in the West Jordan Felony Drug Court. Heather is also a guest lecturer at Utah Valley University and at Salt Lake Community College, presenting on topics such as criminal procedure and trial strategy. She has been a new lawyer trainer at seminars conducted by the Utah Association of Criminal Defense Attorneys. Heather is also a Pro Tempore (small claims) Judge at Salt Lake City Justice Court and active in the Utah State Bar Moot Court program.